We have two rooms, a secure grassed area and a hard and soft play area. Our session times are Monday - Friday 9.00am - 12.00pm and 1.00pm - 3.30pm. If you have any questions or would like to view please feel free to drop in after 9.30am or 1.30pm during session time. Alternatively call us on 02392 588023 or use the contact form. We offer fantastic facilities including a baby area, slides, a book corner, construction toys, song time, sit and ride toys and much more. We also hold events such as Summer and Christmas parties and make and do at special times of the year. Everyone receives a warm welcome and a chance to make new friends whilst having fun with your child. 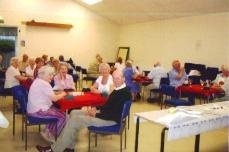 We welcome Bridge players to HEDCA on Monday and Thursday evenings, starting at 7.00pm. Dont worry if you dont have a partner, one can be found for you!! For more information please use the Contact form or call Eve Prickett on 01329 289548. Friday night is Bingo Night!!! ALL ARE WELCOME TO ANY OF THESE GROUPS. For more info please use the contact form. Springfields Play Scheme (School Holidays). Springfields are open in the Summer Holidays from Tuesday 24th July to Friday 24th August, from 7.30am to 6pm. The Playscheme provides fun holiday childcare and activities for children aged 4 and above. Phone 07913 661968 or email springfieldsplayscheme@hotmail.com or visit the website here. Like singing? Why not come along to our day time, very friendly, community choir? NO auditions, pay as you go - £5 weekly - includes tea and biscuits. Cribbage is held on Tuesday Nights from September to May. Welcome new members and any interested people. Gosport Camera Club are a relatively small but friendly and active Club which always welcomes new members at any level of expertise - you don’t need to be an expert, just so long as you enjoy any aspect of photography! We make no distinction between film or digital users and you don’t need expensive equipment. The Gosport Camera Club meets at 7.30 pm for a 7.45 pm start every other Tuesday, Individual membership of HEDCA is included in the Camera Club subscription. For more information please visit their website under the links page or fill in a contact form which will be passed on. The darts team play every Monday and the Pool team play every Thursday. Both teams do extremely well in their respective leagues and continue to fill our Trophy cabinet up every season. Feel free to pop in on match nights and see our teams in action. 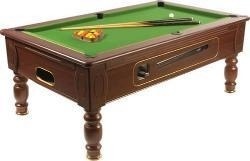 We are currently looking for a second pool team for next season to play on Thursdays, if you are interested please speak to the Bar manager or use the contact form.